Medical Maggots™ are live fly larvae used for debriding non-healing wounds such as pressure ulcers, neuropathic foot ulcers, non-healing post-surgical wounds and other chronic wounds. Consult manufacturer for reimbursement information. Medical Maggots™ are used to debride chronic wounds such as pressure ulcers, neuropathic foot ulcers, venous insufficiency ulcers, post-surgical and traumatic wounds, and other non-healing wounds. Medical Maggots™ should not be your first choice of treatment. Medical Maggots™ are highly perishable and should be used within 24 hours of arrival (ordered to arrive within 24 hours of use). Pain may occur in patients with painful wounds. May need analgesics or to remove maggots early. Store at room temperature. Use within 24 hours of arrival. Units: 250-500 larvae per vial; Dose: 5-10 larvae per sq cm wound base. Supplied as maggot-impregnated gauze. Medical Maggots™ are supplied as maggot-impregnated gauze. Cover with an appropriate dressing. For additional guidance, see package insert, website or call for assistance 24/7. Debridement is usually complete within 48 hours, by which time the maggot dressing should be removed. 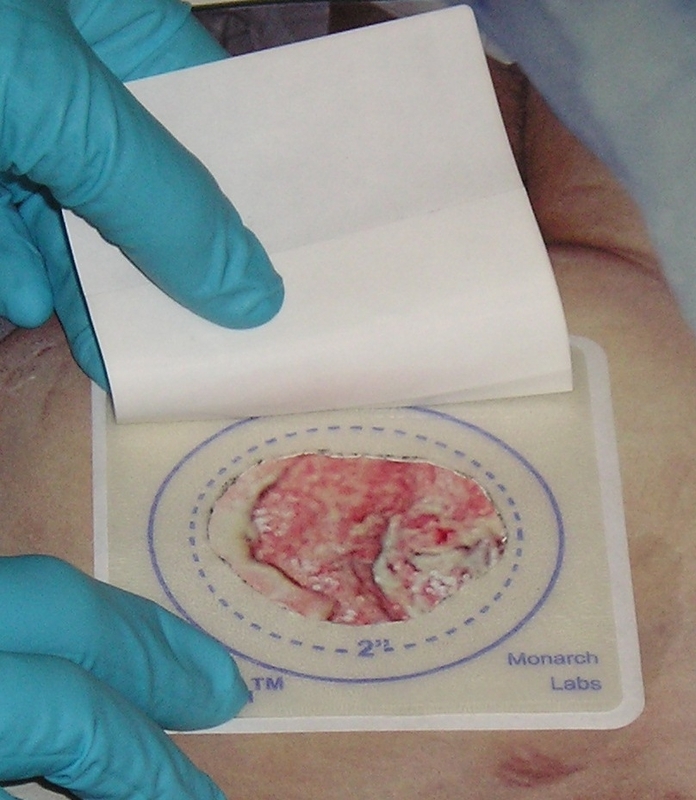 Monarch Labs focuses on advanced wound biosurgery, with products such as maggots, leeches, and related wound dressings.